THANKS FOR JOINING US! THIS SPECIAL DEAL IS JUST FOR YOU! You recently attended our webinar, "Concepts and Controversy: Dietary Recommendations for Cardiovascular Disease" with Penny Kris-Etherton, PhD, RD, FAHA, FNLA, FASN, CLS. We appreciate your support and that you’ve chosen to earn CEUs with us. 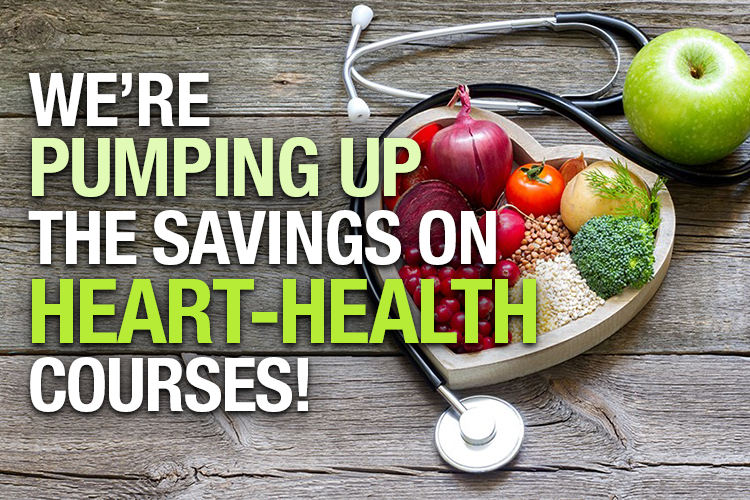 Now through this Sunday, May 13th, save 30% on any of these self-study courses or webinars with similar topics listed below by applying coupon code HEARTMAY18 at checkout. Offer valid through May 13, 2018, at 11:59 PM EDT.